The world of Minecraft is a dangerous place. With all the zombies and skeletons spawning at night and those crazed Creepers running around all the time, it can be hard to build a safe fortress within which you can relax. Creepers can swim, climb ladders, and blow holes in dirt and stone walls. You can keep them from spawning by planting torches, but they’ll just spawn outside your base and wander into the light on their own. Underground bases are useful, but there’s always the risk of a creeper exploding on the roof or spawning in a dark corner. The safest place to build is one where no mobs can spawn: the sky. 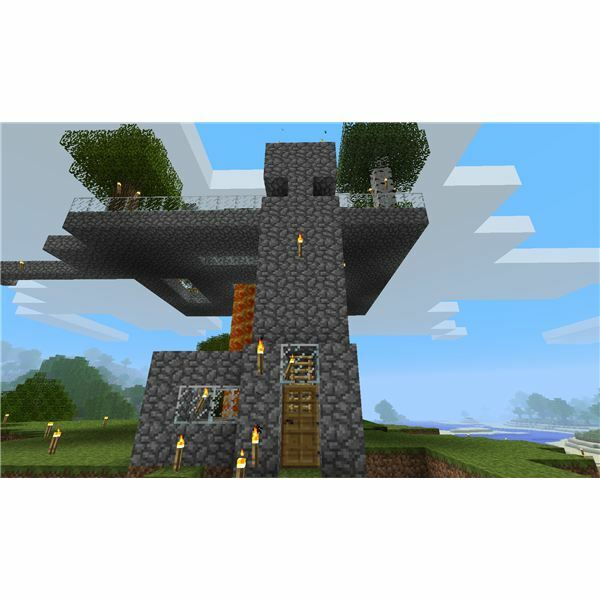 Our guide will walk you through construction of your sky fortress, some useful defensive mechanisms, and how to keep Creepers and other mobs from paying you a visit. Unlike an underground base, you’ll be building all the walls and floors of your sky fortress from scratch. 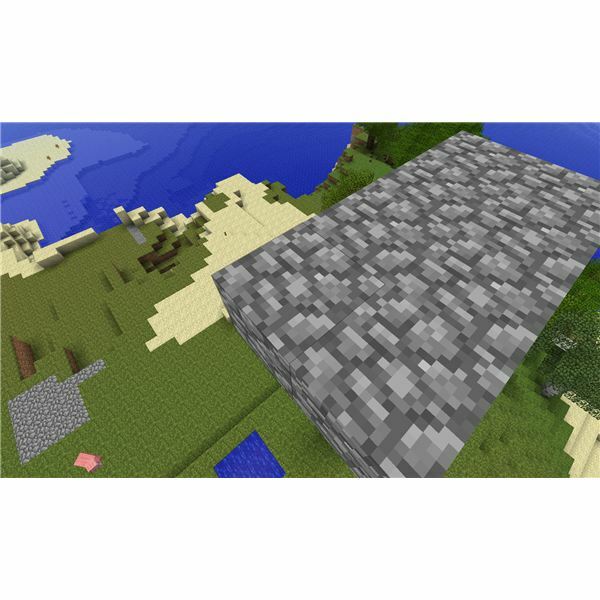 You’ll want to gather a large number of stacks of cobblestone before you begin construction. For this reason, it’s usually easier to build a floating base after you’ve spent some time mining or carving out a mountainside base. You’re also going to want a number of ladders (depending on how high you want to build the base), some glass (made by putting sand into a furnace), a few stacks of torches, and at least one door or a trapdoor. The final thing you’ll need is a suitable location. You can build a sky base anywhere there’s open air, but it is nice to have flat ground underneath so you can keep an eye on the surroundings before you descend to ground level. You’re also going to want to take a pickaxe with you, for reasons that shall be explained momentarily. Before we begin building in the sky, there is one key move players should be aware of. By holding down the Shift button, you can enter “sneak" mode. This allows you to move out onto the edges of a block without falling. While sneaking, you can attach blocks to the one on which you’re standing, which is how we’ll build the floor of our air base. Just don’t let go of the button, or you’ll be taking the express elevator to ground level before you know it. To build a sky base, the first thing you’ll need is a floor to stand on. Before you can build it, though, you first need to get up to the desired height for your fortress. To do this, build two stacks of blocks right next to each other. To place a block underneath you, look down, jump, and right-click while you’re in the air. You need two stacks so that you can use one to descend safely from your base while still leaving a stack upon which you’ll build your ladder. Once you’ve reached the desired height (I recommend at least ten blocks from the ground), It’s time to build a floor. To do this, use the sneaking method described above to hang over the side of the block you’re standing on, then place a block attached to it. Keep using this method to make the floor as large as you’d like. It’s a good idea to either mark your initial stack of blocks with a torch or not incorporate them into the larger floor so you can easily see where the stack you’ll use to descend is located. Adding glass to the floor is useful for a couple of reasons. 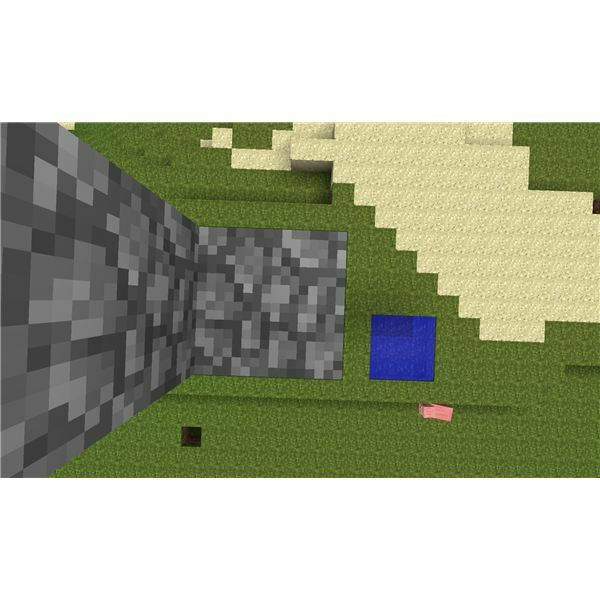 One, it’ll allow you to see immediately below your base, so that you can scout the area for creepers or other mobs before you leave the safety of your flying home. Two, it will allow some sunlight to pass through to the ground below. A solid floor casts a huge shadow that sunlight-sensitive mobs can hide in during the day. I personally like to add a single row of glass blocks around the perimeter of my floor because it keeps me from accidentally walking off the edge while still allowing me to see as much of the surrounding area as possible. You’ll need some way of getting in and out of your base, and a ladder or staircase will allow you to move between the ground and your elevated abode. I personally prefer a ladder because it’s a lot less work to construct. To get back to the ground, stand atop one of your two stacks of blocks and use your mining pick to repeatedly destroy the one beneath you, gently lowering you to the ground. Once you’re there, start placing ladders on each of the blocks that make up the other stack. You can climb and place them at the same time, so you should be back in your base fairly quickly. 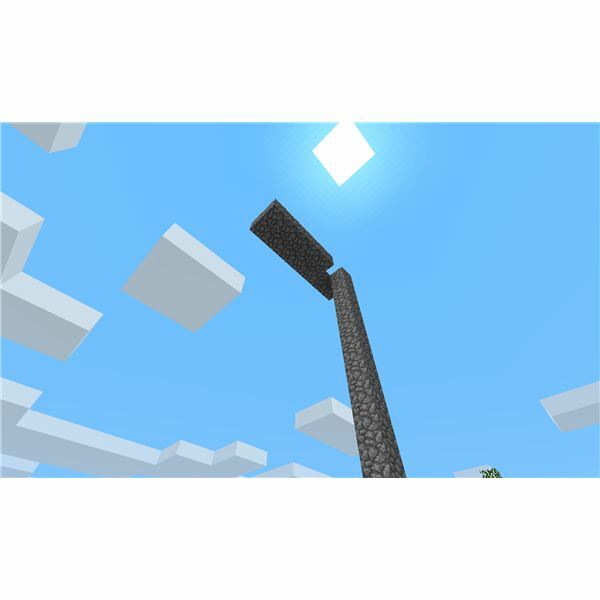 Many mobs can climb ladders, so having one is not an effective means of keeping mobs from entering your base. Building a small hut around your ladder’s base, then a tunnel enclosing it is the best way to keep bad guys from climbing up to your fortress. Place an iron or wooden door at the entrance to your hut to keep mobs from wandering in. It’s also not a bad idea to dig a pit outside and drop in some water, then build a narrow bridge across. You can also build a doorway and put a door at the top of your ladder or use a trapdoor to close off the top. Make sure you place torches all over your base and around the ladder’s base to keep mobs from spawning nearby. Where you go from here is up to you. Some people use lava towers to create light and keep mobs from spawning. Some people plant trees in their flying base. Still others have used powered rail lines to connect their first air base with others scattered around the Minecraft landscape. That’s the great thing about Minecraft. You can build just about anything you can picture in your mind.